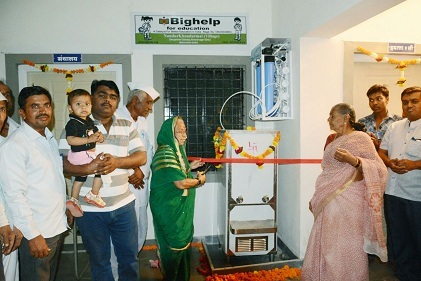 Bighelp provided Water purifier to Zilha Parishad Primary School, NandurKhandarmal, Ahmednagar, Maharashtra. 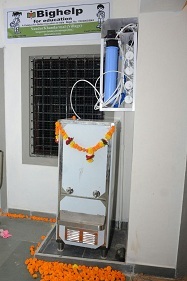 Students of the school bring water from home. 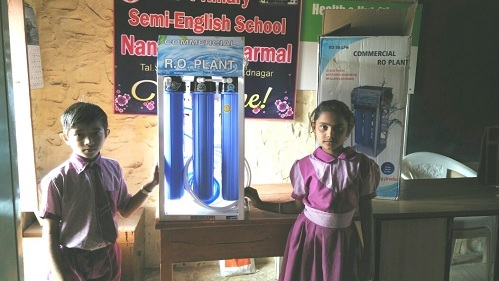 Unless safe water is provided in the school thirst of children in the summer cannot be quenched. 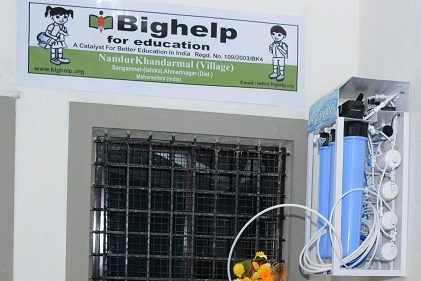 Hence Bighelp has sanctioned water purifier for providing safe drinking water to the students. 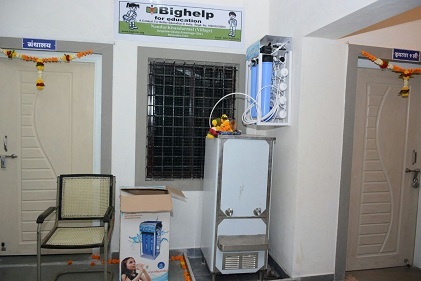 The water purifier provided by Bighelp helps 95 children drink safe and pure water. 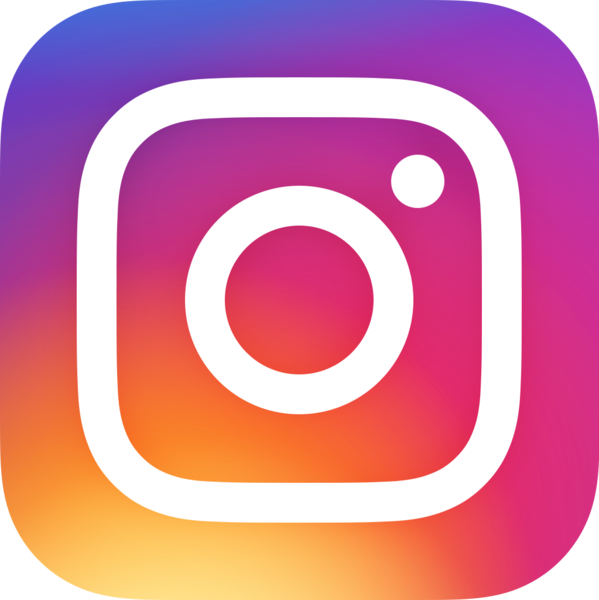 Nandur Khandarmal is a Village in Sangamner Taluka in Ahmednagar District of Maharashtra State, IndiaIt belongs to Nashik Division. 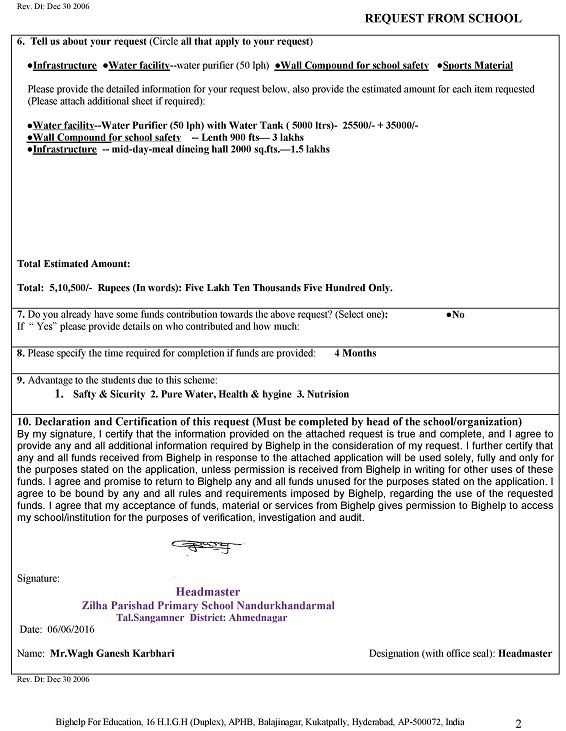 It is located 67 KM towards west from District head quarters Ahmednagar. 27 KM from Sangamner. 174 KM from State capital Mumbai. 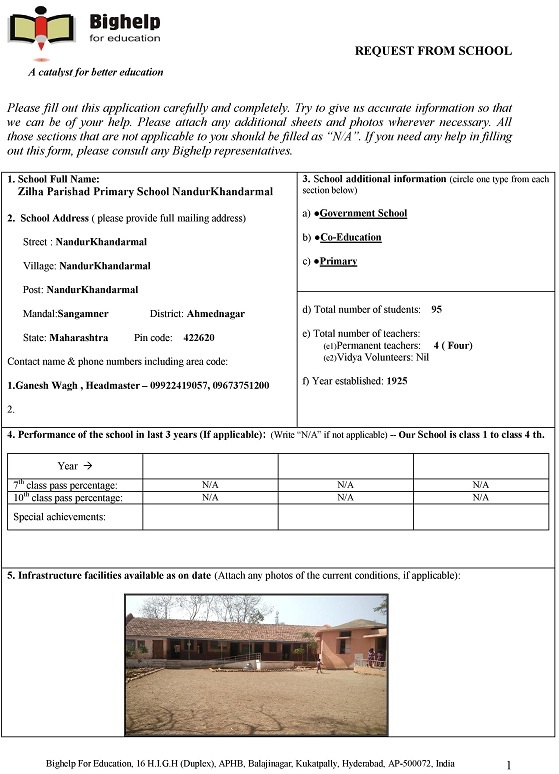 Zilha Parishad Primary School is situated in NandurKhandarmal village and it was established in 1925. 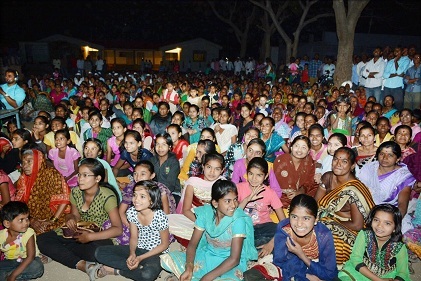 It is co education school with present strength of 95 students and 4 teachers.